Part 2 of our series celebrating 10 years of Isha Vidhya schools features stories from students and their families. Over the course of this series, we will present you with the insights and experiences of an Isha volunteer intent on sharing the voices of Isha Vidhya. Part two features stories from young students and their families. “I would be 7th pass coolie by now, if I had not been studying in Isha Vidhya,” – Kartik Raja, 11th Grade, one of the state board exams toppers. Kartik’s father was diagnosed with cancer when he was in 8th grade. It soon became apparent that he may not live longer than perhaps a month. His mother, a housewife then, was devastated. Worried about the survival and future of her two children, Kartik (13), and a six-month-old infant son, she didn’t even have the luxury to grieve the death of her husband. Kartik had to be taken out of renowned CBSE school his father had so fondly chosen for him, and some of the extended family members discussed the possibility of finding some work for him so he could support his mother and brother. Then one of his relatives, seeing his misfortune and interest towards learning, suggested that maybe Isha Vidhya might be able to help. And it did. He was admitted into the school on full sponsorship thanks to a wonderful donor from Australia. Kartik scored 482 out of 500 and ranked 3rd in the school in 10th grade. He aspires to be a Professor of Mathematics. Kavita sees her alcoholic father physically abusing her mother regularly. Since a tender age, she has been cooking and taking care of her younger sister while her mother works beyond her physical capacity as a coolie, sells circus tickets at night, along with other menial jobs, just to be able to provide three meals to her children. Witnessing her mother’s hardship, Kavita was slowly becoming aloof and forlorn. Until one day, the principal of one of the Isha Vidhya schools happened to meet her mother, whom she knew when they were both younger. When this lady saw the mother’s condition, she immediately admitted both her children in Isha Vidhya – and that became a turning point in Kavita’s life. 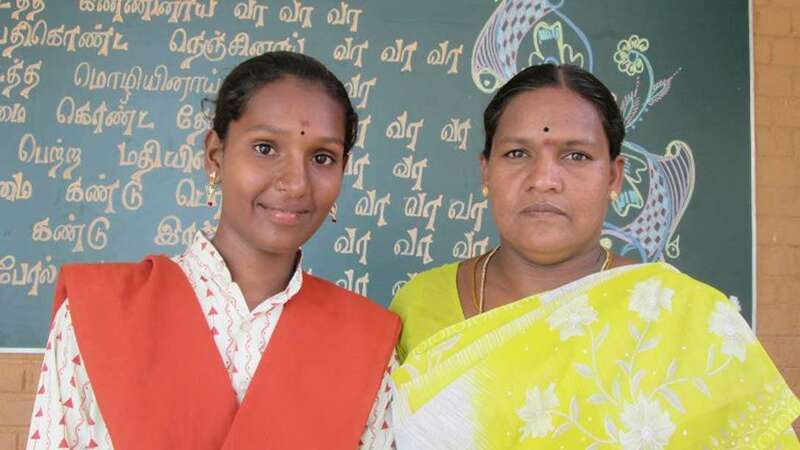 Kavita topped all her subjects and now studies in the best residential school in the district on a 100% scholarship. She hopes to become a doctor. Dinesh and Sweta’s mother has an intellectual disability which makes her unable to take care of them. Dinesh’s father, an agricultural labor, cannot afford medical treatment for his wife. So he takes care of his children and wife as best he can, cooks for them and works to put food on the table. Both children often stayed hungry until dinner. Dinesh gradually developed a deep inferiority complex. After joining Isha Vidhya in 6th grade, he went through an unbelievable transformation, and scored above 90% in 10th grade. 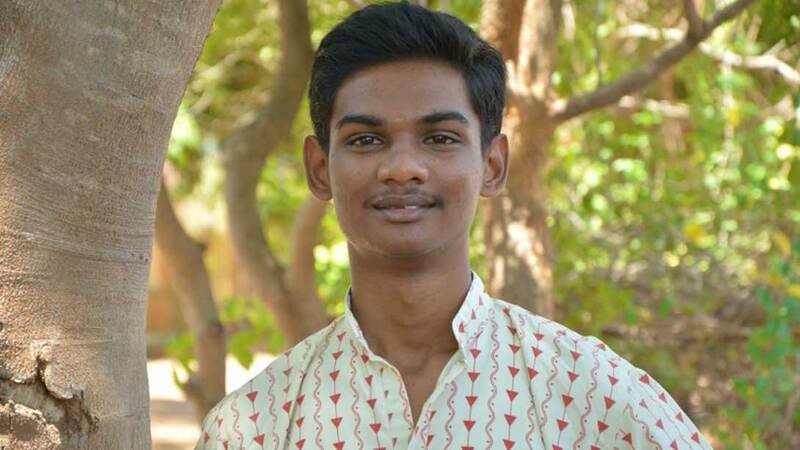 He now is a full scholarship computer science student in one of the major schools in Erode, and is known for his compassionate nature. Father of Anushka (13) and her younger brother Anbu (9) is a manual laborer making 120 rupees per day, (2 USD) which he must stretch to feed and care for his two children, wife, elderly mother and himself. “I never dreamt that my son and daughter would study in a matriculation school,” he says. Anbu, inspired by a neighbor, hopes to become a police officer. Anushka’s mother would like to see her as an IAS officer, a civil servant. However, when we ask the girl, she declares, “I want to become a Chotta Bheem!” We burst into laughter, but the message is clear – Anbu and Anushika are no longer waiting for a hero to come and save them. They want their lives to serve others. 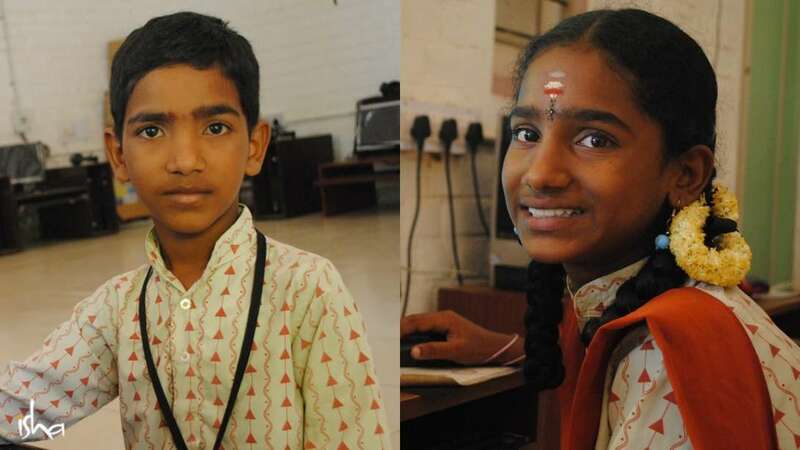 Bhuvneshwaram and Kamali’s father suffered a big loss in his business, and was even contemplating suicide as he couldn’t bear the idea of his children going to a government school and struggle all their lives to just make ends meet. Then, he heard about a good private school in Erode where he could get a waiver of tuition fee until his finances were more stable. He imagined that school would have dilapidated structures, disinterested teachers and distracted students, but having nothing to lose, he decided to check it out. Upon his visit, he found clean, tidy, child-friendly classrooms and facilities. He saw smiling, welcoming, capable teachers who surpassed his ideas of a “good school”. 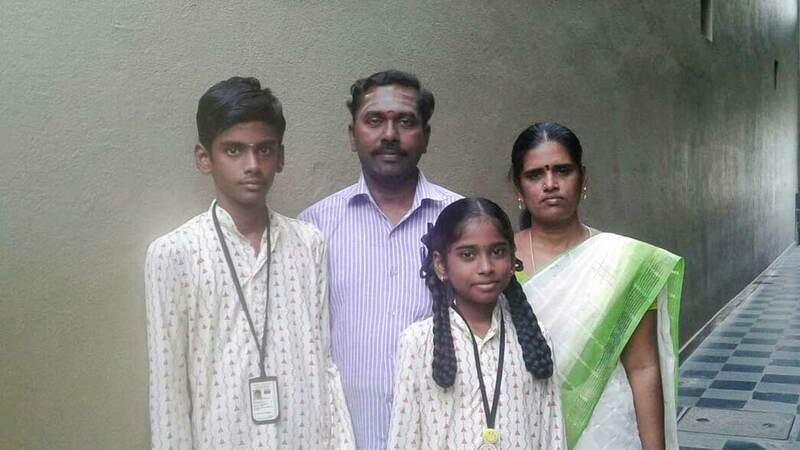 Soon after he was told that Isha Vidhya had granted scholarships to both his children, he moved to Erode to facilitate the process. Giving many children an opportunity to live normal lives, though an incredible accomplishment, I discovered, was but a small part of Isha Vidhya’s contribution to the educational scape of India. Melbourne runs for Isha Vidhya! Isha volunteers have a gala time at RunMelbourne 2014 Marathon while raising funds and awareness for Isha Vidhya.